I am tinkled pink, er...mint, to help Ellen Hutson celebrate with Concord & 9th for the latest United We Flourish Stamp Set! 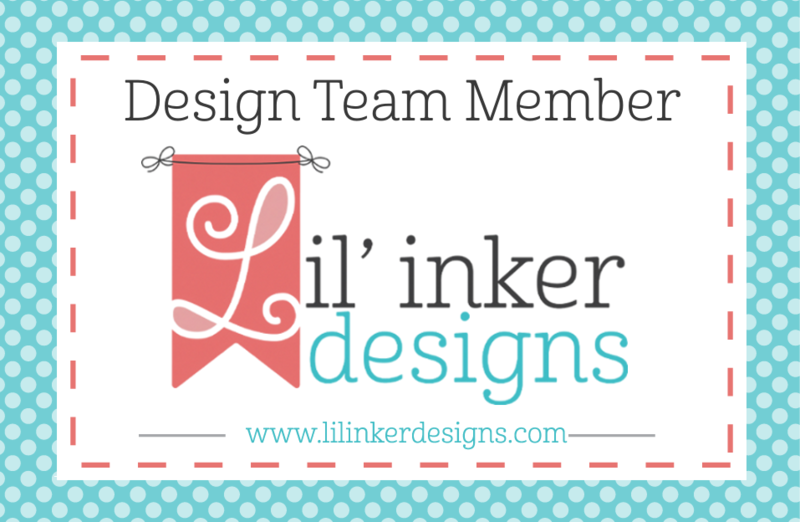 United We Flourish is a campaign by Ellen Hutson and various companies in the stamping industry to bring crafters unique, limited edition items. You can check out all the details at the Ellen Hutson Classroom Blog as well as each stop along the blog hop showcasing the new UWF set. There are amazing prizes along the hop too: To celebrate, two randomly selected commenters will win a $30 gift certificate to the Ellen Hutson shop and two commenters will win a $30 gift certificate to theConcord & 9th shop. To enter just leave a comment on the Ellen Hutson Classroom blog or the Concord blog by 12pm PST on December 26th. If you are following the hop, you should have arrived from Kittie's Blog. 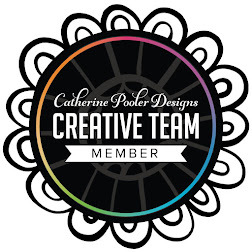 Your next stop on the hop is the super talented, ever fun Julie Ebersole! Love tickled Mint. Silver cupcake liner is so elegant looking. Nicely done. Those colors work well together, very pretty! 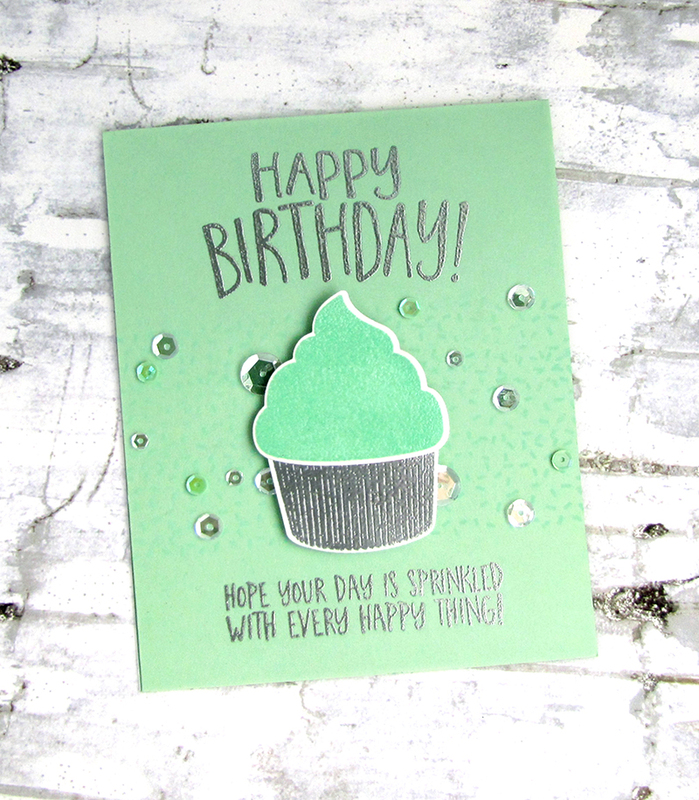 Oh so minty cupcake, really sweet! Loved your minty design. Thanks for sharing. I need some chocolate to go with that!!! Thanks so much. Love that silver "wrapper!" The mint and silver together are perfection! 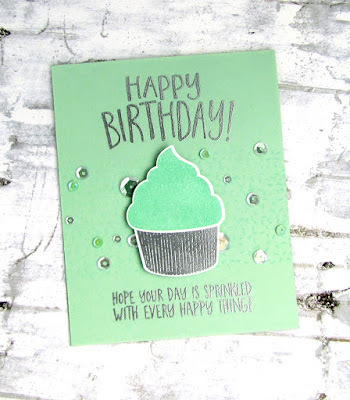 Love your "minty" card and how lovely to change it to whatever color you desire!! So versatile! So pretty - love the silver embossing. A great card, love this stamp set. Your embossed sentiment is so pretty! Beautiful mint and silver colour palette. Thanks for the inspiration. Love the mint and silver color combination.